Fix ERR_EMPTY_RESPONSE: One of the most annoying things that you might be faced with while browsing the internet (whether for work or play) is when you come across a weird looking error. If you have been using Google Chrome for a long time, then you must have been faced with at least a few of these over the years. 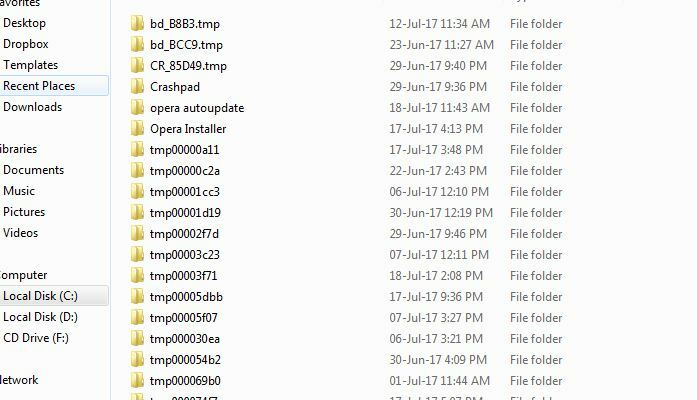 No matter which Windows version you upgrade to, including the latest Windows 10, there seems to be no respite from these. 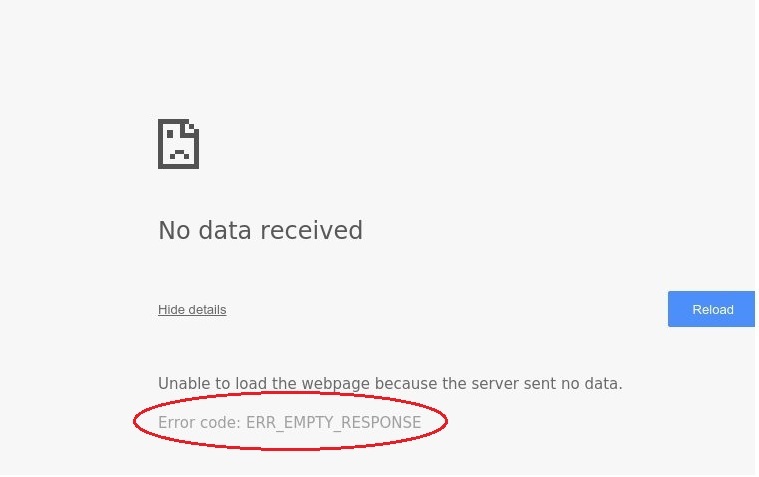 One of the most common errors that users have reported facing is the “ERR_EMPTY_RESPONSE” error. In this tutorial, we will talk about what causes this error, and the different methods to solve ERR_EMPTY_RESPONSE in Google Chrome for easy troubleshooting. Let us proceed without further delay. 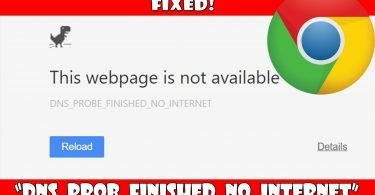 Most commonly found on the Google Chrome browser, even on the most up-to-date versions, this error mostly pertains to a bad connection. So many times while browsing the internet, you will come across the message on a particular Chrome tab that says the domain you are visiting is not working. It will look something like this: “The xxxxxxxxx.com page isn’t working.” Below, you will see a line of text saying: “xxxxxxxxx.com didn’t send any data,” followed by the “ERR_EMPTY_RESPONSE” text. Why does the ERR_EMPTY_RESPONSE error occur? There are several reasons why this problem may occur, and knowing the reasons behind it, you can win half the battle towards solving the problem. These are a few commonly known reasons for the ERR_EMPTY_RESPONSE issue may occur. Thankfully, each of these problems can be solved easily to help you address and fix the repeated occurrence of ERR_EMPTY_RESPONSE. In the sections below, we will talk about each method that can be used to fix the error for each of the above-mentioned causes. As we have already stated above, there are different reasons for the annoying error to occur, and there are different methods to address each one of them. In this section, you will find a resolution for each of the four problems that we have mentioned above. So before you get started, it is imperative to know the reasons why you are facing the problem. If you are still not sure, however, you can try out each of the methods below to see which one works. Let us now get down to business. If Network Connectivity issues are at the root of the error, one can use this method to correct it. Step 1: Press the Windows button on your keyboard to launch the Start-up menu. Go to Command Prompt (you can find it easily by typing “Command Prompt” into the Search Bar). 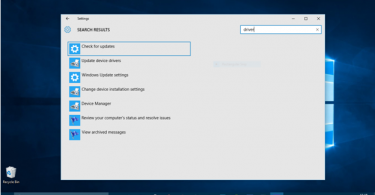 Select “Run as Admin.” Command Prompt will now open. Step 3: Next, close the Command Prompt and Restart your PC. If the ERR_EMPTY_RESPONSE problem was being caused by a network issue, you should find it resolved after the use of these steps. One of the reasons behind causing this error could be the extensions that you download to your browser. While chances are slim that all or multiple extensions installed in your browser will cause the ERR_EMPTY_RESPONSE problem, finding the one, in particular, may be a time-consuming effort. However, if this is at the root of your problem, then follow the steps below to solve ERR_EMPTY_RESPONSE issue. Step 1: On your Chrome browser, go to the Menu button, click on More Tools. Now enter Extensions. Step 2: Now you will be shown a list of all the Extensions that you have, with a check box beside them. Step 3: Disable each Extension by clicking on the check box directly beside it and continue until you have disabled them all. Step 4: Next, start Chrome again and see if the problem persists. If it doesn’t, it means that the Err_Empty_Response error was being caused by an Extension. Step 5: Now to identify the one that is causing the error, go through the list of Extensions and enable them one by one. You should be able to find it in a while. In this method, you can easily overcome the ERR_EMPTY_RESPONSE error by clearing your browser cache. Follow the steps below. 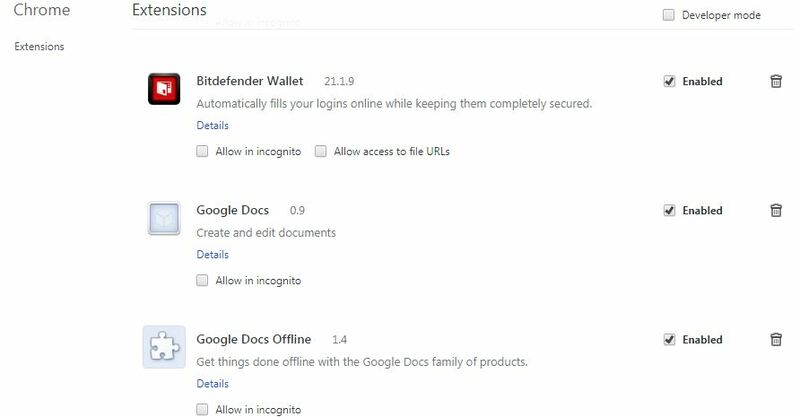 Step 1: Go to the Chrome menu, click on Settings. Step 2: Once the Setting window opens, scroll down below to find the section that says Advanced. 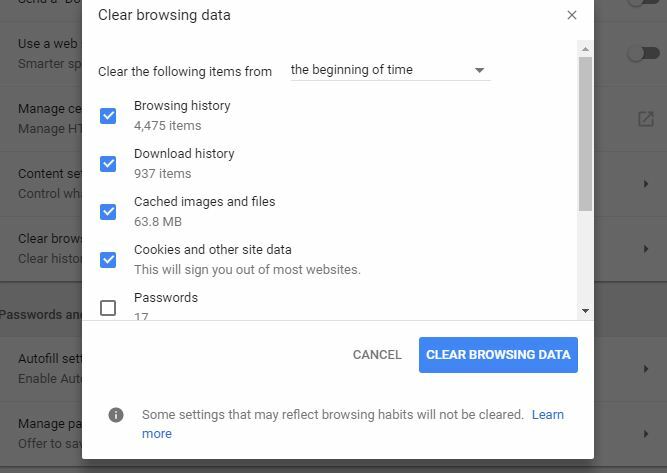 Step 3: Click on Advanced, and scroll down to find the option that says Clear Browsing Data. Step 4: In the new window that opens, start at the top to select “The Beginning of Time” next to the “Clear the Following Items From” section. Step 5: Next, check the following sections before clicking on Clear Browsing Data. Step 6: After finishing off, restart your browser to see if this ERR_EMPTY_RESPONSE fix has worked in your favor. Often you may run into this error because of the presence of temp files. So getting rid of those will definitely aid in solving the problem. Take a look at the steps below to solve ERR_EMPTY_RESPONSE issue in this way. Step 1: Press the Windows button + R, which will then show you the Run dialogue box. Step 2: Enter the text “Temp” in the box and click OK. You will now be taken to the temp file folder. Step 3: Click CTRL + A to select all and then delete. Step 4: Restart your browser to see if the problem recurs after this ERR_EMPTY_RESPONSE fix. There are a number of reasons why the error in question may occur. This is why our simple guide to fix ERR_EMPTY_RESPONSE error contains several methods to address its occurrence for various reasons. Feel free to try any of these after identifying the cause of the error to nip the problem in the bud. If, however, you are faced with the error still, do not hesitate to get in touch with us. We will try to help you analyze the reasons and suggest a personalized solution. Until then, explore more of Techieans to get deep into troubleshooting. Thank you ! No websites solutions helped me but the extension one on this did !! I have this problem since trying to upgrade the php version on my wordpress site. I am worried that I have really messed things up as my site is not showing in chrome or fire fox. Can anybody offer me some assistance?